Ideally located between the Minimes marina and the historical La Rochelle city center, the campus is close to the train station, the ring road and all amenities offered by the city. Getting around in La Rochelle and on campus couldn’t be easier! EIGSI is just 2 km from La Rochelle city center. It’s easy to walk down town or anywhere on campus, all in a pleasant setting. The university library and the media library are a 15-minute walk from the school. The Republique university restaurant is just 2 minutes away, and the other university restaurants are also within easy walking distance! Since 2008, EIGSI has made ecomobility a key component of student life. New students can rent EIGSI bikes for a nominal fee. The Urban Community of La Rochelle also has a self-service bike-sharing system. Our campus is perfect for cycling. With bike paths throughout the campus and along the waterfront and ample bicycle parking, we make sure that cyclists feel welcome. It is no coincidence that La Rochelle is among the top French cities when it comes to bicycle ridership, with 10% of trips made on bikes. And you can even get around by boat! Two sea bus lines using electric boats run between the campus and Les Minimes to La Rochelle city centre. 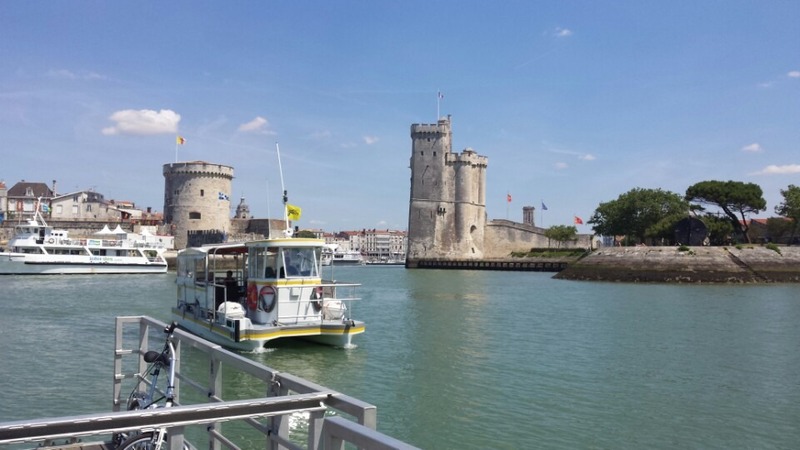 Convenient, ecological and fun, this means of transport offers a splendid view of the famous towers of La Rochelle and the Old Port. La Rochelle was the first city in France to develop electric mobility and car sharing! The city has a fleet of 50 electric car-sharing vehicles. There are 5 different subscription options to choose from ranging from €5 to €250 all inclusive. Two bus lines serve the entire campus and connect to the SNCF train station, the city center and from there to the entire La Rochelle transportation network. And of course students get discounted rates.